Talk low, talk slow and don’t say too much!!! People who know little are usually great talkers, while men who know much say little.!!! 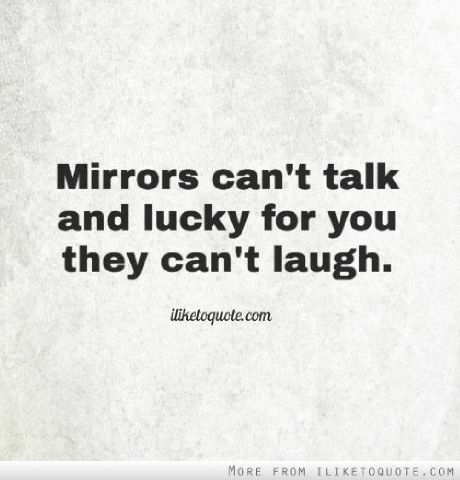 Mirrors can’t talk and lucky for you they can’t laugh either!! !